It’s here! 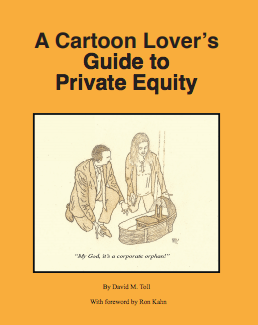 All of your favorite PrivateEquityCartoons in one handy book that also serves as a private equity primer. Send an email to me at davidmtoll@gmail.com to let me know who you are or to inquire about getting hard copies. All after-tax profits will be donated to charities that help women and minorities break into private equity.